Successfully Added Quad Band GSM Phone - 2.36 Inch Touch Screen, 800mAh Battery, FM Radio, 0.3 MP Rear Camera, Bluetooth 2.0 (Gold) to your Shopping Cart. “A designer knows he has achieved perfection not when there is nothing left to add, but when there is nothing left to take away.” These words from French writer Antoine de Saint-Exupery show us that sometimes less it more, and with this mini GSM cell phone they couldn't be truer. It epitomizes all that we need from a cell phone without wasting effort of trivial extras or cheap thrills. One SIM card slot is all you get because that's really all you need. With Quad Band GSM connectivity you can make calls from most corners of the globe so there’s really no need to worry about anything else. 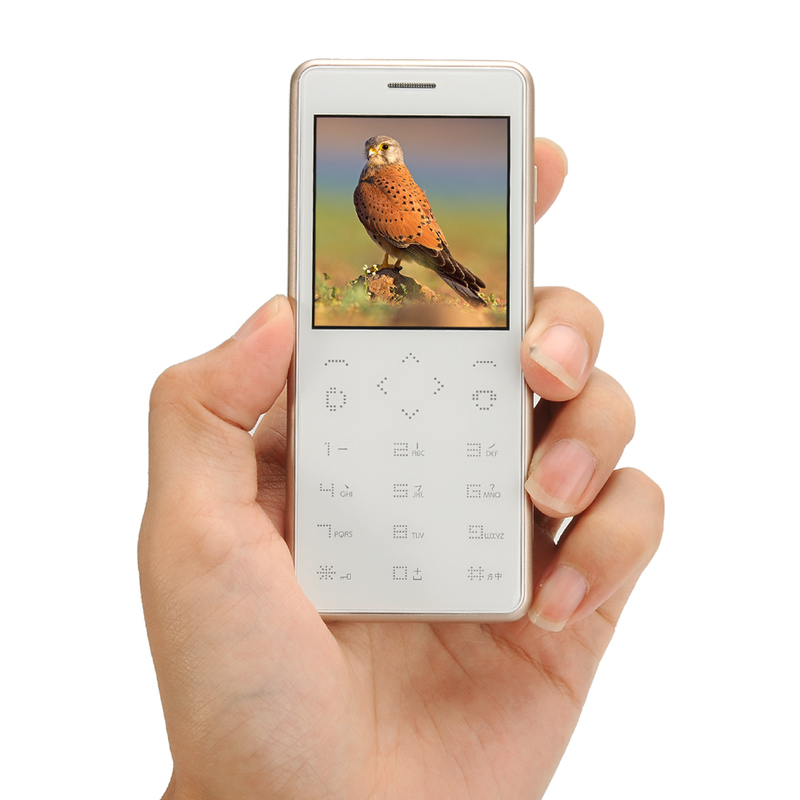 To make life easy you get a 2.63 inch screen that has a perfectly respectable resolution for navigating the phones functions. This makes it quick and easy to view messages, make calls and set your alerts and reminders. You get all the necessary extras such as calculator, note taker and music player meaning you can achieve everything that a phone really needs to do without being bogged down by clutter. As this phones streamlined approach does away with the extra baggage you can enjoy a stunning amount of usage time from a small 800mAh battery. Now because they didn't add on lots of extras you get a compact, thin lightweight phone that has hours of usage and a simple interface for an affordable price. I’m sure Antoine de Saint-Exupery would approve.